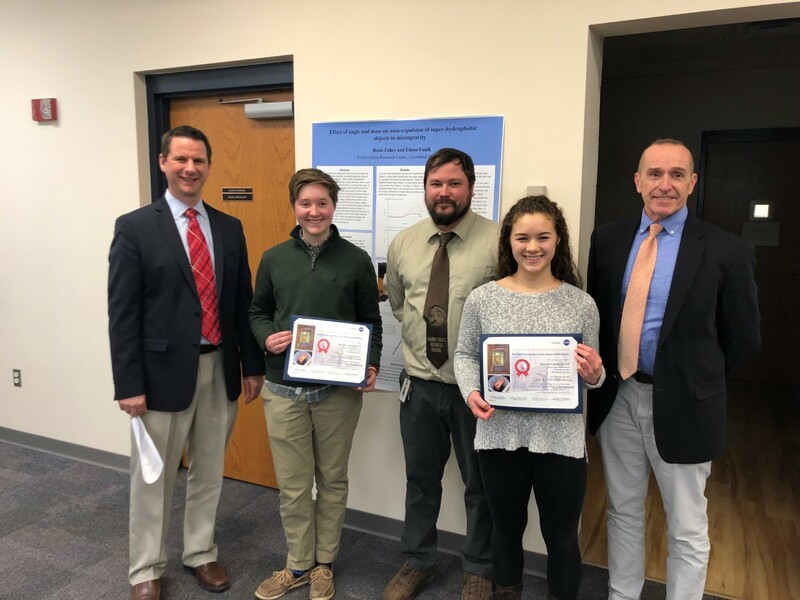 West Geauga’s Eileen Faulk and Rosie Fahey captured second place in NASA Glenn Research Center’s 2018 National Microgravity Expulsion from Water Experiments Challenge. Their work earned them an invitation to present at the American Society for Gravitational and Space Research (ASGSR) Conference in Washington D.C., where they presented their results alongside other high school, college, and graduate students and professionals in the field. West Geauga’s second place win was one of only two schools to be selected from Ohio. The other winners were from Virginia and California. Rosie’s and Eileen’s accomplishment was recognized as part of the January 22nd Board of Education meeting.